Welcome to Part One of my Nabby's Dowry Sew~Along! I'm anxious to get started and I'm hoping you are, too!! Draw a diagonal line on the wrong side of all of your light print 2 3/8" squares. 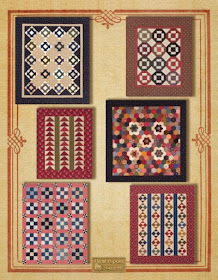 Mix and match them with the assorted medium and dark print 2 3/8" squares. Sew 1/4" on each side of the drawn line; cut apart and press to the dark. Make at least (162) Half Square Triangles that should measure 2" unfinished. As I said, make more if you'd like extra color/fabric print options to play with when making your blocks. I know this is a lot of cutting and sewing now, so I'm giving you TWO WEEKS to accomplish this task. Once these HSTs are made, we'll be sailing through block assembly. Part Two of the SAL will post on Friday, July 12th. 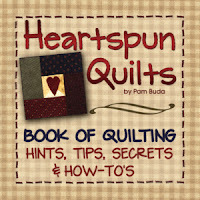 PS....you might want to think about ordering my Hints book for perfect HST every time! Not only will you find my HST technique in there, but hundreds of hints, tips, and how-to's for all kinds of quilting basics ~ from fabric preparations, to piecing techniques, to quilt labels. Click here for more info! There's a lot going on for me here, but nothing significant to really talk about. You know....writing Journey 5 patterns, generating graphics for the patterns, answering emails, filling orders, change the laundry when the buzzer goes off (for which I reply "yes, master" while swinging my arm, back hunched over like Quazimodo. Ok.... not quite that bad!) Anyway....doing stuff.....lots of stuff keeping me busy. I'm a list maker, and apparently I'm quite good at them 'cause I have lots of lists floating around. Hhmmm....perhaps I should make a list of ideas on how to better manage all those lists? Once in awhile, I get to cross something off the list, a truly satisfying exercise, right? 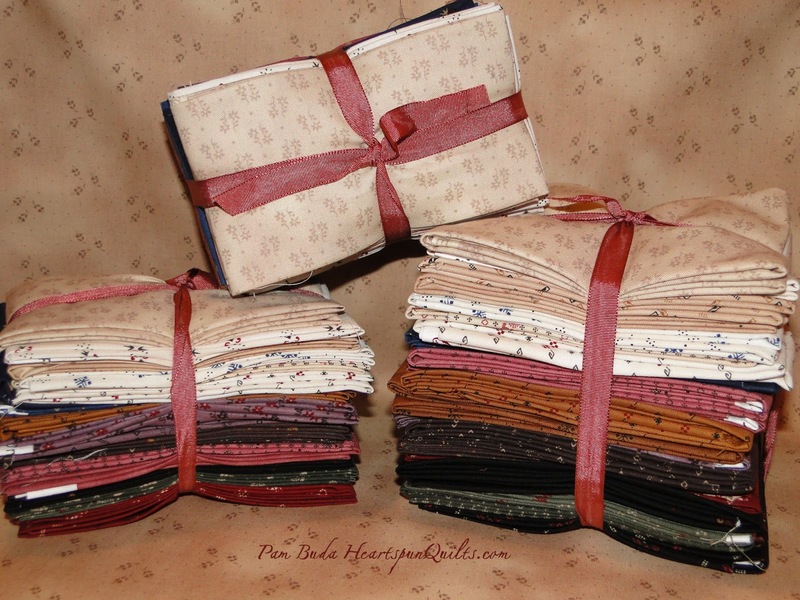 Well, today, Deb finished cutting and folding Fat Quarter and Fat Eighth bundles, and I added them to my website, then promptly crossed "Add Fat Qtrs & Fat 8ths to website" off my list! Hooray! If you've been wanting to own a little bundle of fabric J.O.Y., may I first suggest you motor over to your local quilt shop. (Been watching Downton Abbey, hence the "motor over" phrase.) Please check with them first as I'm a big-time supporter of patronizing your LQS. I just don't know where we'd be without them. If by chance they don't have Pin Money or the Prairie Wovens (gasp! ), then by all means order them from my website. 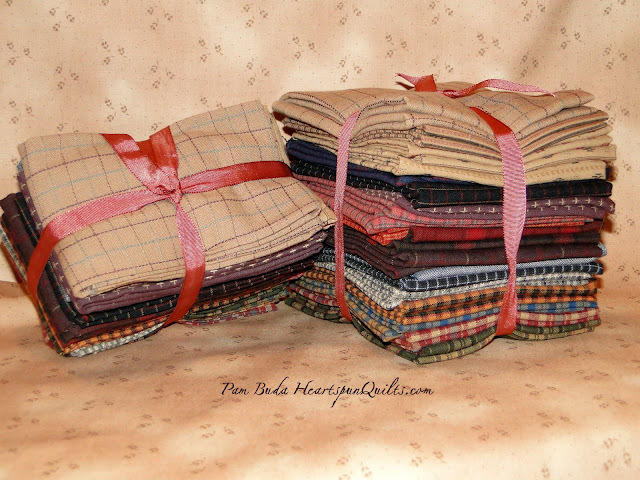 Click here to see all the fabric bundle choices. The other thing keeping me occupied is this little sew~along I've been planning. Have you heard about it? Haha. The quilt top is being sewn now, then off to Ronda for quilting. Did you hear? Click here for all the info....please join the fun starting this Friday!! Our destination is St. Augustine, FL coming January 20-25!! Sign-ups have already begun....we're thrilled!! This is going to be a really fun time, no doubt about it. I talked with our dear friend, Gloria Parsons (Olde Green Cupboard) this morning about the retreat (she thinks she'll be coming....and we're really hoping! ), and she told me that our retreat was very reasonably priced, seeing as how the Hilton Hotel advertised rate for a room that week is $229 per night! That totals $916 just for the hotel!!! Our entire retreat price, at the exact same hotel, exact same room is $725 AND INCLUDES FOUR KITS AND CLASSES, along with eight meals, trolley rides around town, and lots of goodies! Our wonderful retreat promoter, Bunny, got us this great price. Thanks, Gloria, for bringing all this to my attention. We'd love for YOU to JOIN US in St. Augustine!! Click here to see all the details!! I'm happy to report that all of the fabric kits have been cut and mailed, which means we can soon being the sew~along! It all took about a week longer than I had planned because the fabric arrived a little late, but...no worries! We're good to go! In preparation for the start of the sew~along, I want to recap the fabric requirements for those of you who may just be joining us, or if you need a refresher. Additional scraps if you desire....just because more fabrics are always better! The best way to receive the weekly instructions for the sew~along is via email. 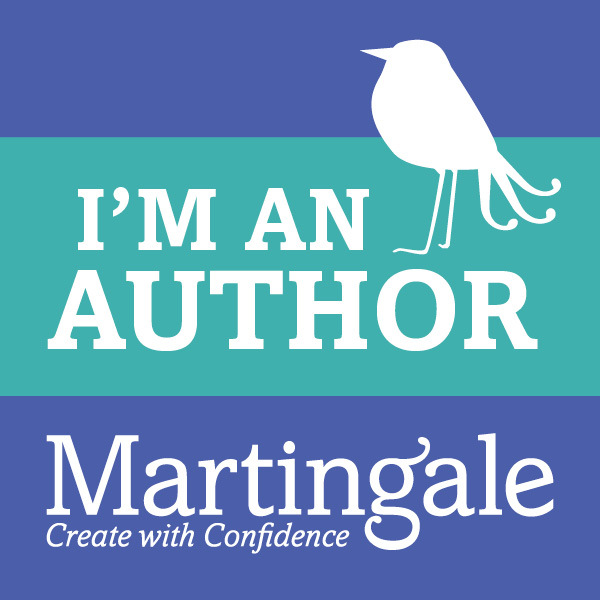 To get my blog posts via email, simply enter your email address in the "Follow by Email" icon found on the right-hand sidebar of my blog. That way, you can easily print the sewing instructions and take them to your cutting table or sewing machine. This quilt is very, very scrappy. So long as you have strong contrast of light to med/dark fabrics, you'll be fine. 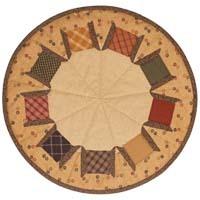 You can always hold off on choosing your setting fabrics until you see what the quilt will look like, choosing colors and fabrics for a particular place in your home. I used browns and reds for the setting and borders, but any of your favorite colors will work. So....put a new blade in your rotary cutter, clean, oil and put a new needle in your machine....the fun begins on Friday! Come Retreat With Us In St. Augustine, FL!!! 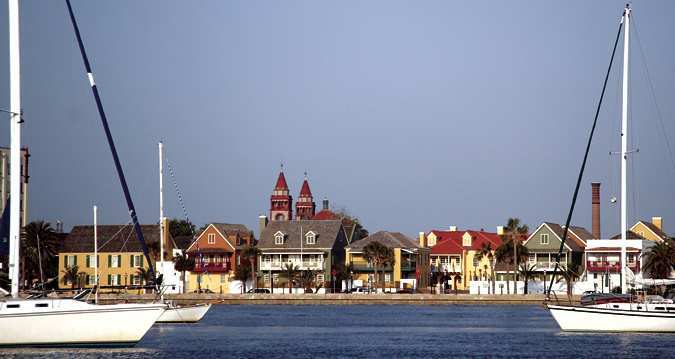 Lynne Hagmeier (Kansas Troubles) and I are off to historic and wonderful St. Augustine, Florida! 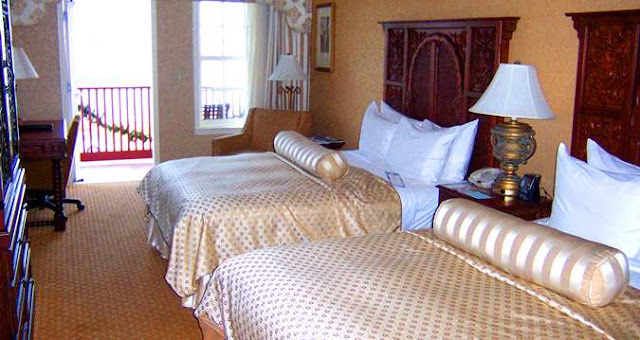 Just when winter is in full force, we're escaping to the warm, sunny and charming city of St. Augustine, Florida for a 5 day~4 night quilting get~away! 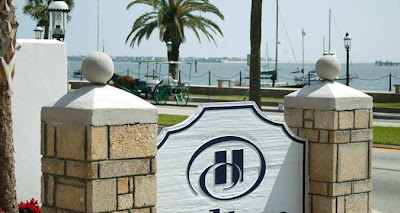 We're staying at the Hilton Historic Bay Front Hotel! The hotel is situated right on Matanzas Bay and near the historic district of St. Augustine. (I love gazing at the water! You, too?) 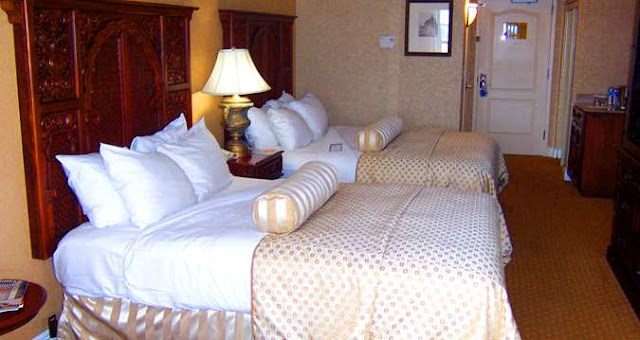 The hotel is comprised of 19 buildings surrounding an inner courtyard and connected by interior corridors for a quaint setting. How cool is that? They did that so the hotel would be in keeping with the other buildings in the historic district. Now...on to the really important part....what are the projects?? You'll have a full day class with both Lynne and me, and then we'll each have a half day class! Here's what's in store for you! 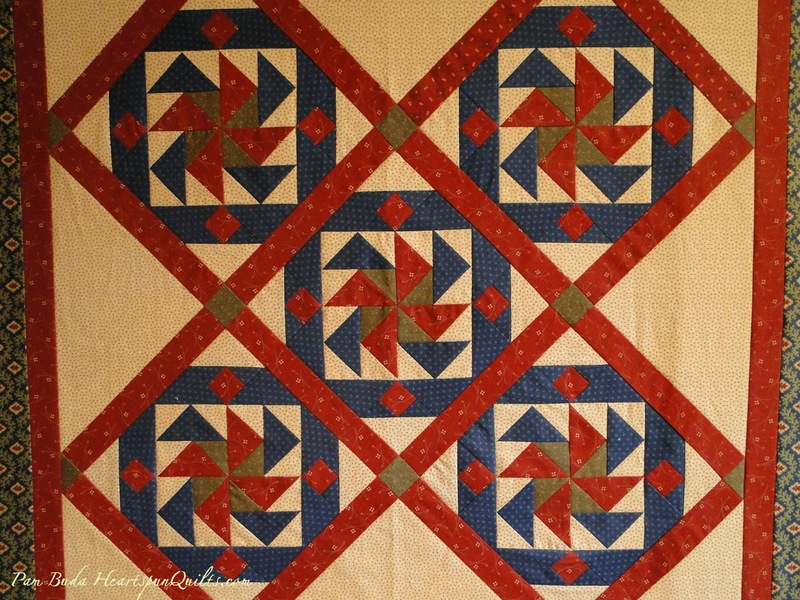 This quilt is Lynne's full day project, called Windmill on the Plains! 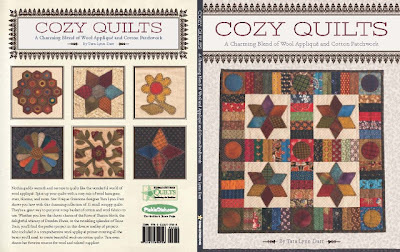 The quilt combines Jelly Roll strips and Lynne's own "layered patchwork" technique (which is sooo cool!) for a simple, dimensional quilt for your home. And....guess what? Your kit fabrics are all her new KT Favorites II (Moda Fabrics)!! L.O.V.E. her classic colors of reds, blues, greens, golds, purples, blacks, pumpkins and tans!!!! The quilt size is 48" square. 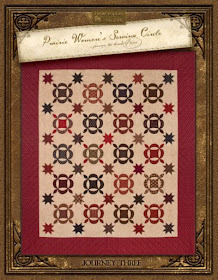 This quilt, called Settler's Puzzle, is my full day class project. 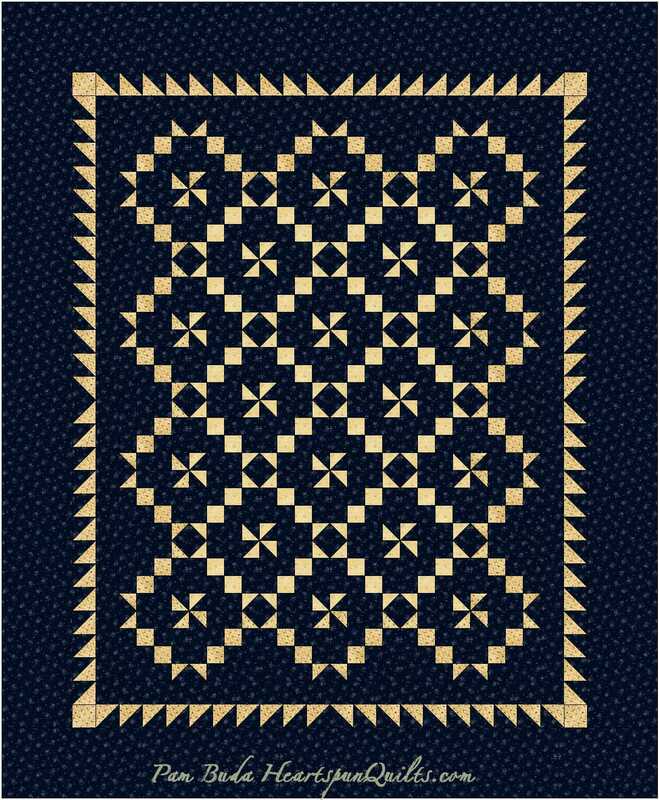 This brand new pattern is a two color, two fabric quilt that features unique blocks that "fit together like a puzzle"! A Sawtooth border sets off the quilt center, making this striking lap quilt (quilt size 54" x 66"). 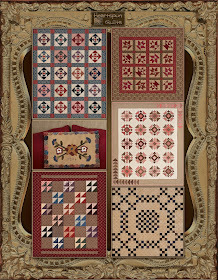 The project fabrics come from my Pin Money collection (for Marcus Fabrics). And....you'll get to choose your dark fabric! 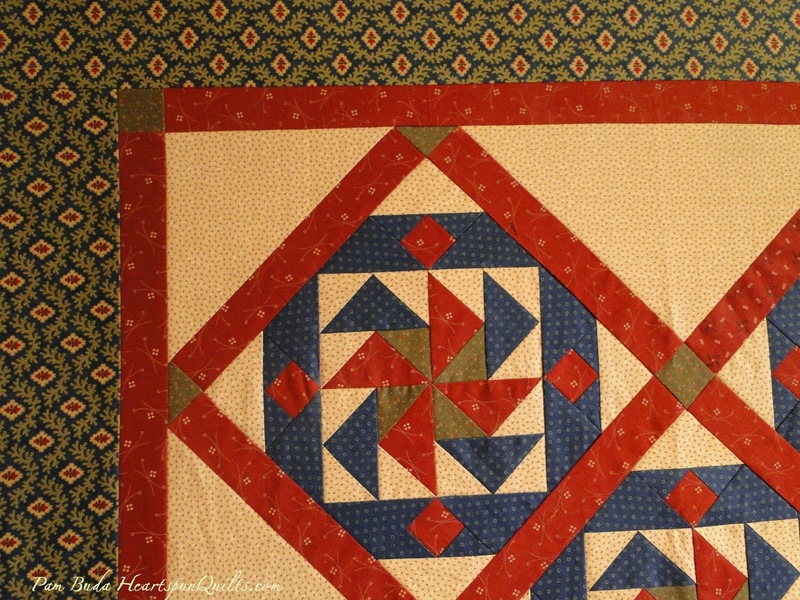 You can choose to make a blue, red or black quilt!! Yay for choices!! And......your kit fabrics will be sent to your home (no additional charge) so you can cut and prepare them ahead of time, and be all ready for class. The fun doesn't end there! We still have two half-day classes to enjoy together. Wanna know what you're making for those projects? 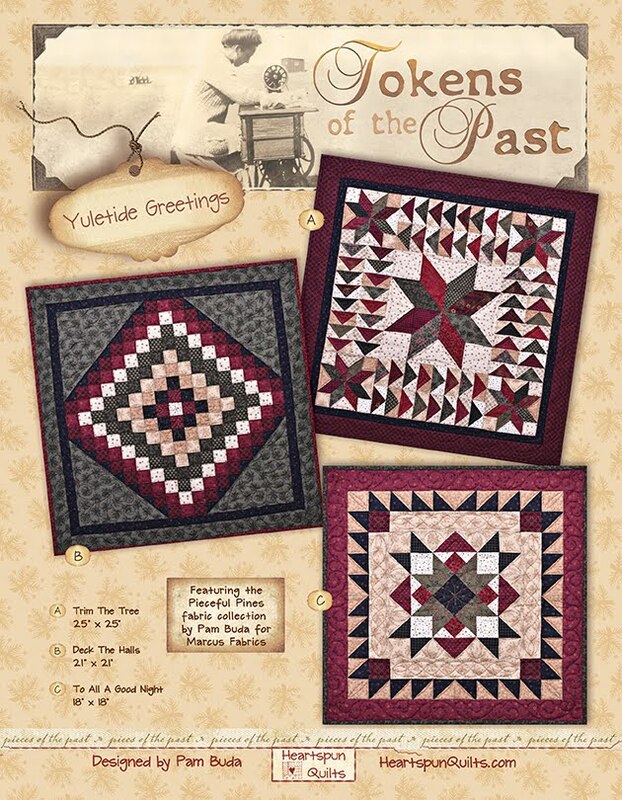 Lynne's Table Treat is your first project of the day! You'll have several Table Treat patterns to chose from. Lynne may even have a few new ones to offer you! 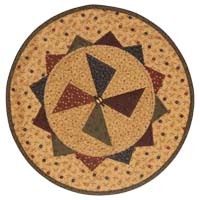 Just layer, quilt and embellish with your favorite appliques for a fast and easy table topper! 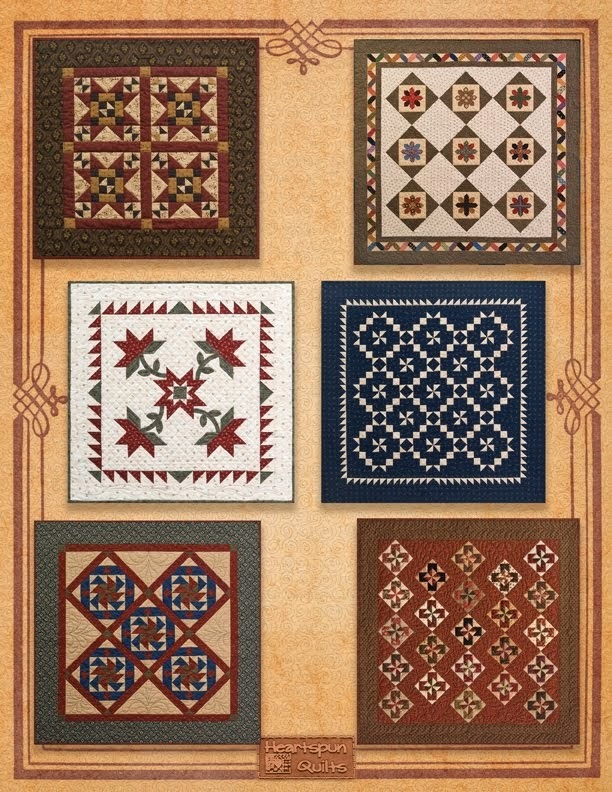 (Quilt size 17") I want them all!! My half day class is this brand new pincushion pattern. So far, I'm at a loss for what to name it, so for now it's called Tin & Patchwork Pincushion. Oh boy...that's boring! The name aside, it's rather cute, if I do say so myself. 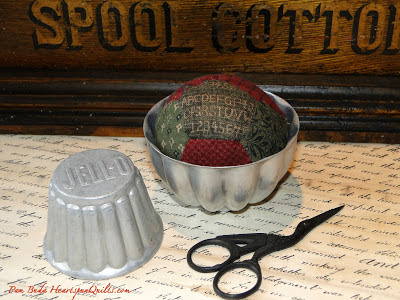 A pieced fabric ball sits inside a vintage Jell-O tin. Yes! The vintage Jello-O tin is included in your kit! 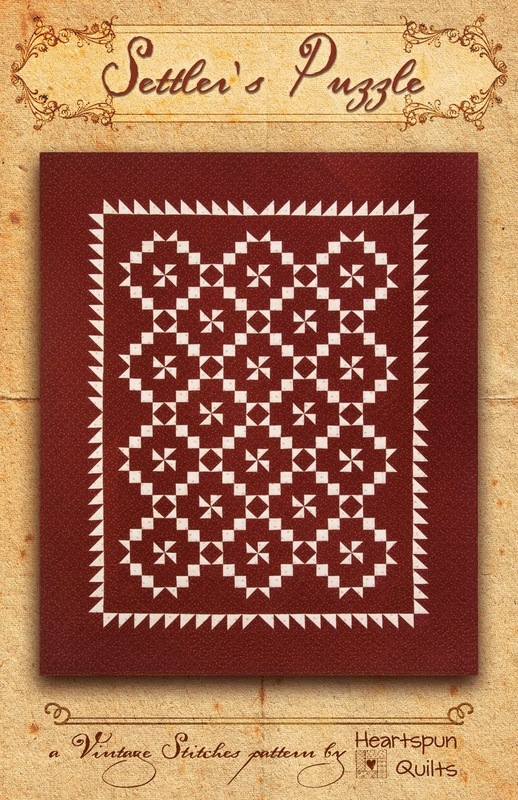 If you have any ideas of a name for this pattern...PLEASE...I'd love to hear them! We have a very spacious ball room for our retreat. You will bring your own sewing machine, which we think is the best! (Personally, I have a difficult time sewing on any other machine than my own.) And....you're guaranteed not to have more than two people to a table! You'll have lots of free time for open sewing. Your room, four breakfasts, three lunches, and a pizza party for dinner are included in the cost of the retreat, as well as all teaching fees, and all kits! You'll also have access to the trolley for 3 days, and there are lots of restaurants and shops close to the hotel, which will make for a nice evening break from our sewing. Lynne and I always have surprise goodies in store for you, too. Now.....all we need is YOU!! We sure hope you'll grab a girlfriend and join us in January in St. Augustine! It just won't be the same without you! I'm just humming along at the moment. Not the singing kind of humming, but the toodle-ing around kind. You know...you're just doing what needs doing with not much fan fare. When I have a moment or two, I try to read my favorite blogs. One of my fav's in my dear friend, Tara Lynn Darr of Sew Unique Creations. She has big news and was finally able to share it on her blog a few days ago. 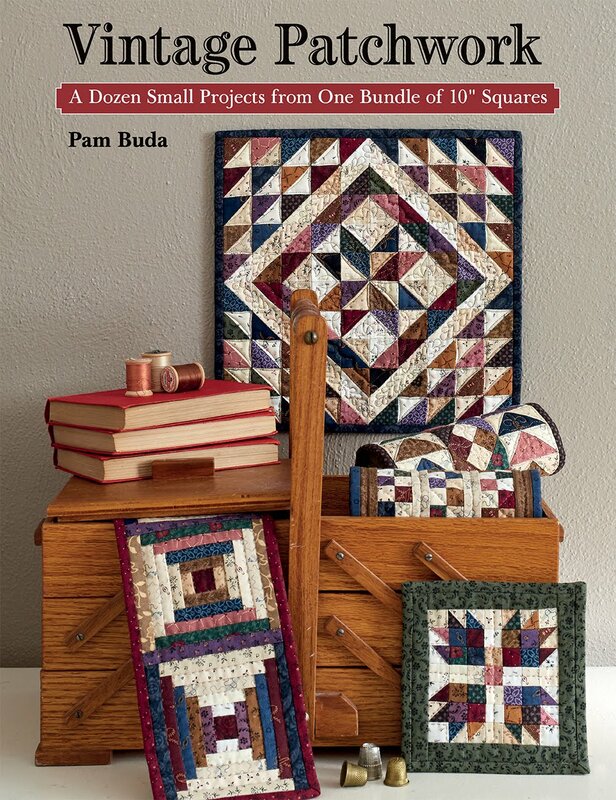 This is the cover of Tara's new book..but this time the projects all feature quilts that combine cottons and wools. Let me tell you....Tara was born to design with cottons and wools. I was fortunate to see about half of the quilts for this book in person. May I say...over-the-moon wonderful!! The back cover gives you a sneak peek at several of the projects, but it's just a tease. 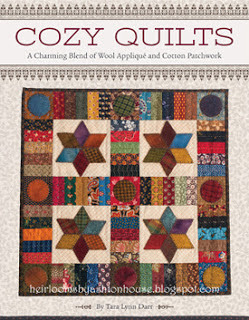 Take my word for it...if you love combining wools and cottons, you MUST HAVE this book!! Click here to go to Tara's website and pre-order your copy! While you're browsing, check our her last book, Simply Charming. I wanted to share this quilt photo with you. Quilter, Marsha Burwash, made her version of my quilt, Scattered Leaves, for her son and daugher-in-law. She made this quilt as a wedding gift to them. Marsha said "the wedding was held in Colorado with the Aspen groves in full fall colors". Marsha had the wedding guests sign the blocks, then made the quilt for the newlyweds. I thought it was a wonderful choice as a remembrance of the wedding, the guests, and the setting, and I was honored she chose my pattern. 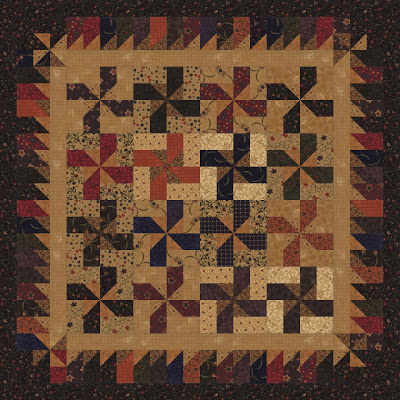 Scattered Leaves was first published in American Patchwork & Quilting magazine several years ago and made the cover of that issue. 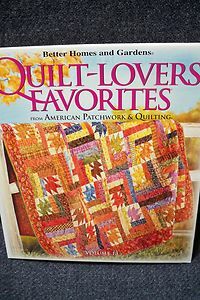 I'm honored to say it was once again chosen as the cover for the new Quilt-Lovers Favorites Vol 13!! 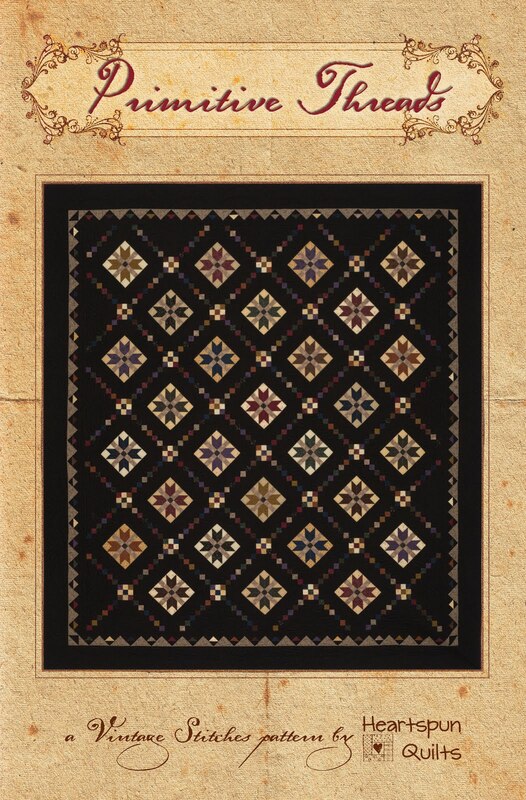 This cover is actually a water color painting of the quilt that is absolutely amazing. Thanks, Marsha, for allowing me to share your special occasion and your Scattered Leaves quilt! 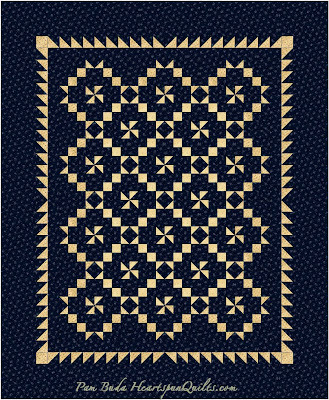 Hope Chest Relics is the name I've given this quilt and it's my latest design for Journey Five of the Prairie Women's Sewing Circle club. 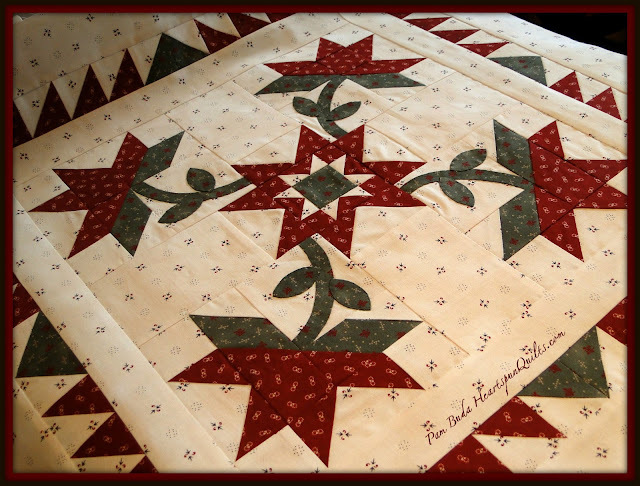 I adore the old, traditional Carolina Lily block, and the quilts all done in red and green, and I knew I wanted to make a small quilt version for the club. I used fabrics from Pin Money. I'm so happy with the way it turned out. Next, it's off to Ronda's to be quilted. Hhmmm.....how should we quilt this? That's usually a hard question. Do you struggle with this, too? I'm thinking cross hatching in the center around the blocks and applique? Any suggestions? The Pin Money and Prairie Wovens finally arrived!!!! After a day spent merrily sewing away, this is what I have to show you for my efforts. Admittedly, like anyone else, I also spent some time un-sewing! Striving for the perfect seams, sometimes they are elusive. Happy to report, I eventually conquered them! 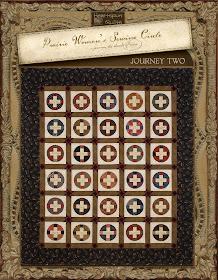 More on the progress of this little quilt for Journey 5 in my next post. This is your official LAST CALL for Nabby's Dowry Sew-Along kits!!! and most of the Prairie Wovens. 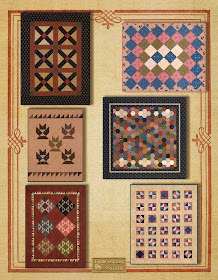 Click here to see all the fabrics. The absolute last day to order your kit is Saturday, June 8th!! I'm hearing the Pin Money and Prairie Wovens, Dobbies & Chambray are being delivered to quilt shops, and I should be getting mine any day now. I'm so anxious!! 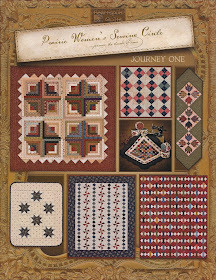 I have several more Journey 5 quilts to make and need the yardage to be able to make them. Not to mention cutting Fat Eighth and Fat Quarter bundles, which will be available on the website soon. Do shop your local quilt shop! Without our regular patronage, they can't continue to be there selling all those lovely fabrics and offering wonderful inspiration! Remember....the best way to get all of the instructions for the sew-along quilt is to receive my blog posts via email. It's easy to do! Enter your email address in the "Follow by Email" icon found on the right-hand side bar of my blog. You'll be sent a verification email, and once you verify, that's it! All future posts will come to your inbox! That way, you can print the instructions, and take them to your cutting table and sewing machine. 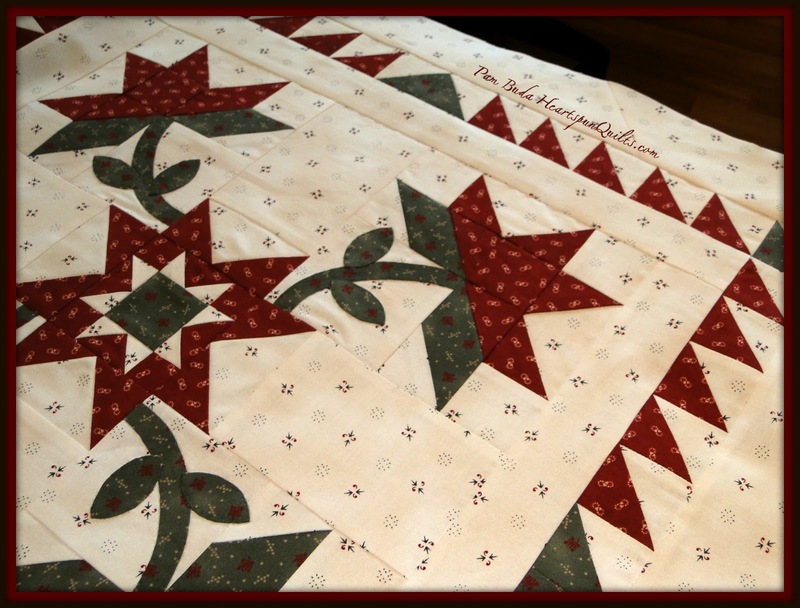 Equal to the sense of accomplishment of completing a quilt is the thrill of beginning a new one. These are the three fabrics for my next Journey 5 project. I can hardly wait to cut into them. The fabrics are all from Pin Money, and it will be a sweet little quilt with a whisper of applique. I'll show you blocks in my next post. This little cutie is a quilt made by Cathy Cameron. 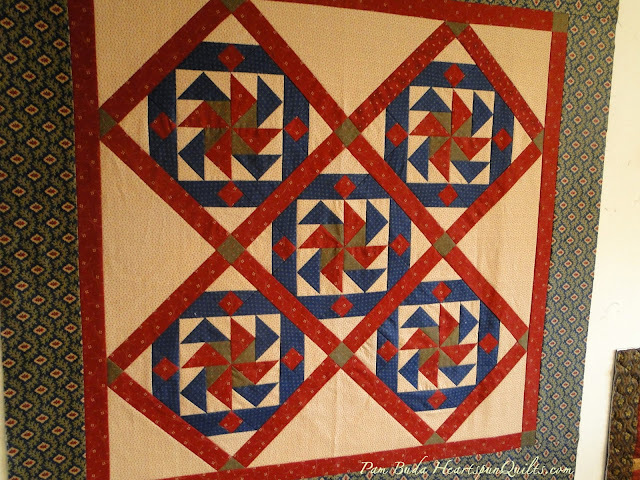 Cathy sent me the photo of the quilt she made from my Forget Me Not sew-along. She just completed her project and I'm so glad she shared it with all of us. Don't you love her setting? Very creative, I think. Life gets in the way of our sewing time all too often. We must remember to enjoy the journey and our time spent with our needle as it comes. Thanks Cathy! 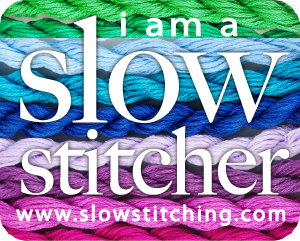 If you're still working on a sew~along project, please share your work whenever it's completed!! 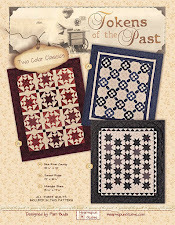 It's nearly "Last Call" to order a kit for my next sew~along. You have until Saturday, June 8th. The fabric still hasn't arrived yet....any day now! Click here to get all the FREE sew~along details. 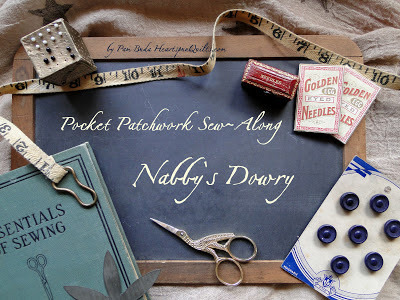 Click here to order a Nabby's Dowry kit. My sewing machine is a true partner in my quilt making. We are old friends. In many ways, it's an extension of my arms. So familiar, so dependable. I sew on a Bernina.....always have, always will. From teaching many workshops and classes over these last 15 years, I know that quilters feel the same about whatever brand machine they use. There are so many wonderful machines out there. I added another poll to the sidebar of my blog....just for fun. I'm curious about what brand of sewing machine you use on a regular basis. 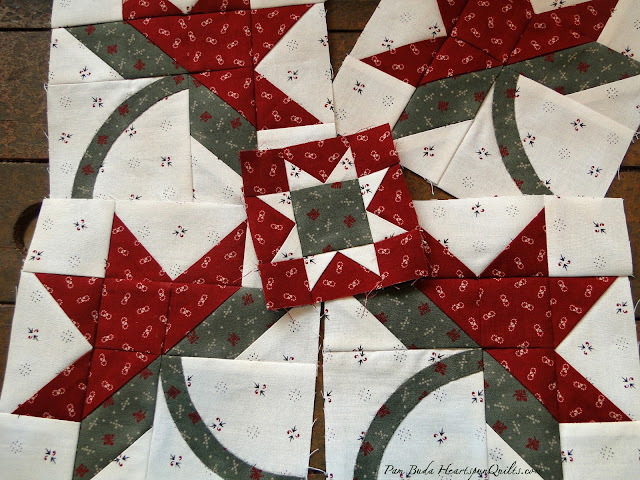 I know many of you have more than one machine, but when it comes to piecing, what machine is the "bee's knees" for you? So...vote for your machine today! Would You Like To Square Dance? Remember a month or so ago, I had quite the quandary over which fabrics to use for a new quilt. Well....the quilt top is finished and I can finally show you how it turned out. This quilt is one I've had on my want-to-do list for a long time. I designed it a while ago and just had to find the right time and the right fabrics for it. It feels great to finally have it completed. 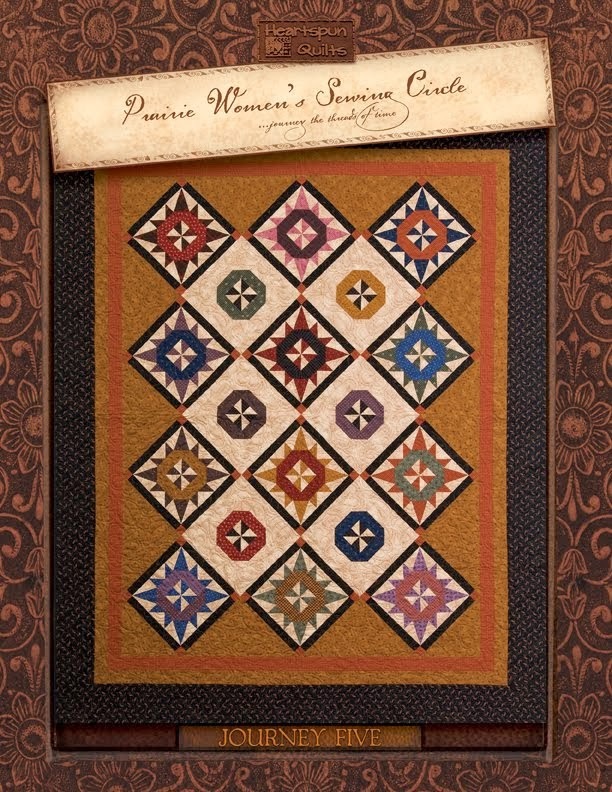 It's called Square Dance, and is included in Journey Five of the Prairie Women's Sewing Circle club. Initially, I fell in love with the block, called Crazy Ann. What an interesting block, don't you think? It has great movement on the quilt. It looks like a Dutchman's Puzzle doesn't it? The block is on point in this quilt, and has a Dutchman's Puzzle center, but the entire block is the Crazy Ann block. I think it's so fun. 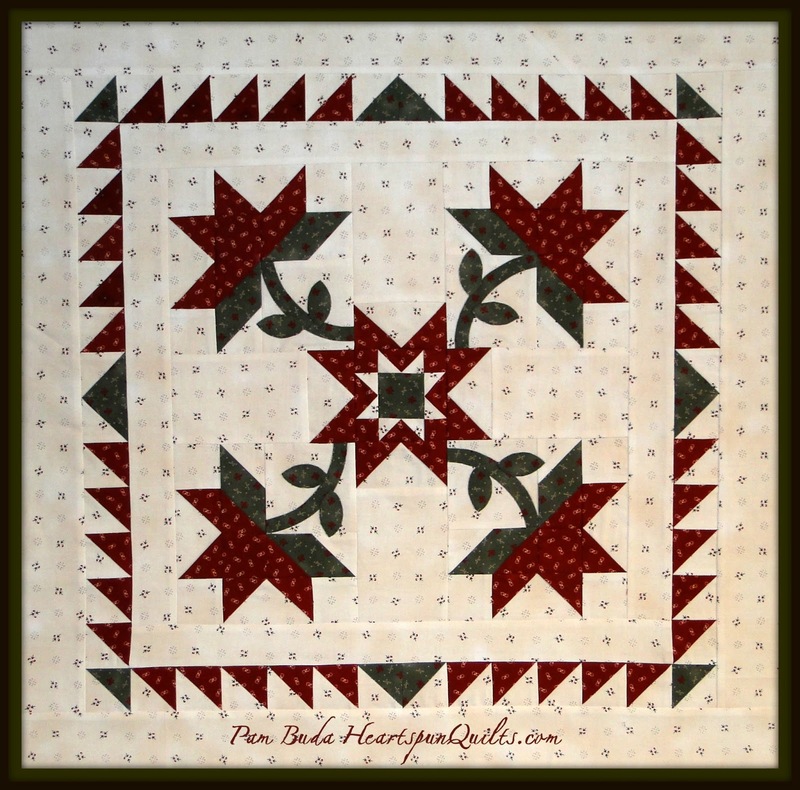 Square Dance is off to Ronda's to be quilted. Those large setting tri's are just begging for a wonderful quilting design. I think the fabrics work well together. I, like the shop owners out there, are just waiting for the Pin Money and Prairie Woven's fabrics to ship from the warehouse. All we know is "June delivery". I'll keep you posted right here as to when the fabrics come in, when the kits ship, and the when the official start of the sew~along will be. Don't worry....I won't begin until everyone receives their fabric. My thanks to everyone from around the world who ordered the fabric kit! If you've been thinking about ordering a kit, you still have a bit of time. 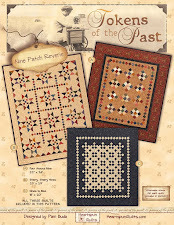 The last day to order a kit is Saturday, June 8th. Click here to find out all of the details about this FREE Sew~Along! 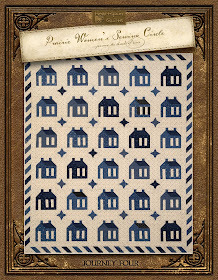 Click here to pre-order a Nabby's Dowry fabric kit.